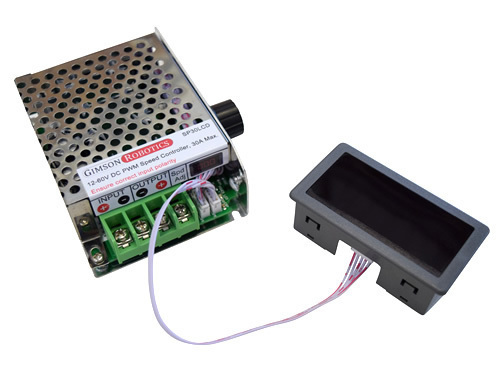 This controller with integral LCD display allows you to adjust the current reaching a DC motor (or linear actuator) and hence the rotation (or extension) speed of it. You simply need to provide a DC current of between 12-60V to the two terminals labelled 'INPUT' (ensure correct polarity here) and then attach your device to be driven to the second pair of terminals labelled 'OUTPUT'. 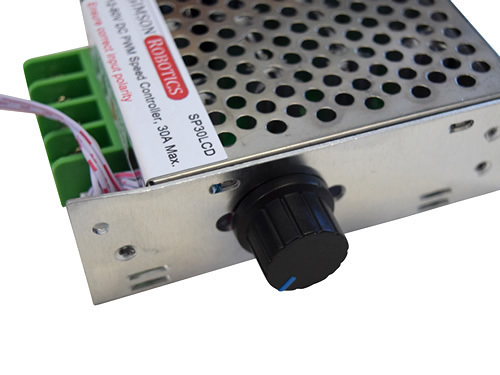 The controller housing features a potentiometer dial on one side which can be turned clockwise to increase the output or anti-clockwise to decrease it (turning full anti-clockwise will switch the output current off). 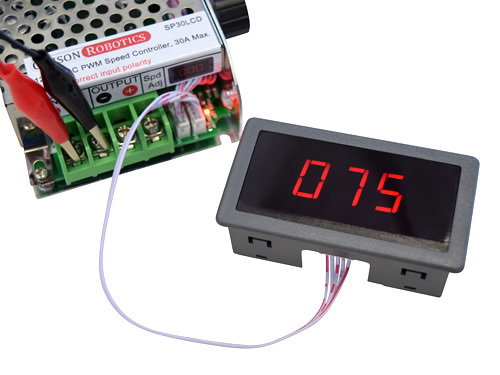 The attached three-digit LCD display will show the percentage of the output current relative to the input, for example a display showing '065' means a PWM duty cycle of 65% and the output voltage should be approximately 65% of the input voltage. 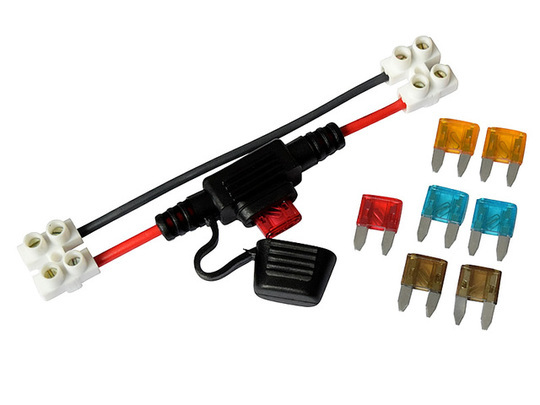 The controller is rated to handle a constant load of up to 20A, and 30A for short periods. A fuse or circuit breaker should be added if there is a risk of the current exceeding the rated maximum. If the input voltage falls below 12V the controller may not operate, if it exceeds 60V it will damage the controller. 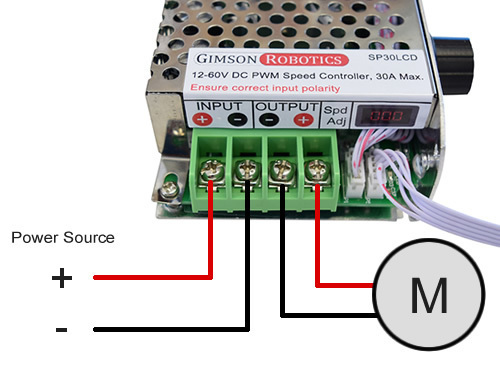 Like most DC motor controllers this device regulates the current via pulse width modulation (PWM), switching the supplied current on and off at high frequency to simulate a lower voltage. For example when the controller is set to half-speed it will be switching the output on for 50% of the time and off for the other 50% but at such a fast rate that a 12V supply would effectively read 6V at the output. 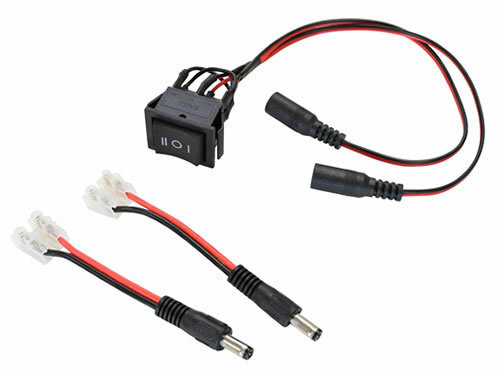 Practically speaking it can be easier to think of the device as a variable voltage controller, changing the voltage that's available to the connected device. If you want to change the direction of the output (particularly if using the controller with linear actuators) you should connect the polarity switching device at the output of the speed controller, this is because the input must be of a fixed polarity (positive to red and negative to black) for the controller to operate. The LCD screen is housed in a casing which may be panel-mounted simply by cutting a rectangular hole of the appropriate size. Similarly the side of the controller with the potentiometer control dial may be surface-mounted.